Who could forget the 1987 Arnold Schwarzenegger action classic, “Predator,” which spawned countless sequels and crossovers with the Alien franchise? The movie proved to be a cult hit, with the titular antagonist's unmistakable appearance serving as the inspiration for motorcycle helmets and even entire rider clubs. What started out as a simple white helmet with distinctive dreadlocks has now evolved into rubber slip-ons or fully customized helmets, painted on and customized by riders with unique color schemes, details, and even teeth, showcasing their creativity. Unfortunately, there's one group of authorities that is not impressed: the PNP- Highway Patrol Group (HPG). “Sira na po yung integrity nung helmet, (the structural integrity of the helmet is compromised)," said P.Supt. Atty. Oliver Tanseco, PhD of the PNP-HPG during the Road Safety - Round Table Discussion with the theme "Motorcycle Safety and Helmet Use" held at the University of the Philippines on October 23. He was referring to the modifications done on an individual’s helmet to make it look like the head of the titular Predator. For example, one has to drill screws into the helmet to put such aesthetic modifications and that compromises the integrity of the outer helmet shell in the event of an impact. Another thing to note is the additional weight put upon the helmet because of the extra fiberglass, paint and other rubber materials or fixings to get that alien look. Generally, motorcycle helmets weigh between 1.2-1.5 kilograms because our necks can only handle so much. The risk of whiplash (injury caused by a severe jerk to the head, typically in a motor-vehicle accident) or other neck-related injuries increases when there is added weight to the head. These “Predator” helmets can weigh as much as 3 kilograms or even more, depending on the modifications done by the rider. 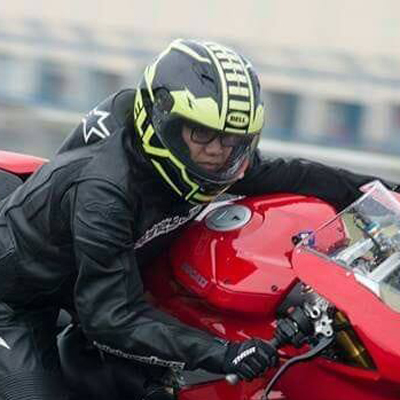 Although the authorities are against the idea of the said helmet modification or any helmet modification in general, there is currently no law that prohibits it. Triumph has released details of the adventure-ready 2019 Triumph Scrambler 1200 XC and XE. The Yamaha Sight gets 99-km/liter in the Cagayan de Oro Safe Run event.